According to the New Visa Rules in Australia, Do Subclass 186 (Transitional Stream) Applicants Need Their Occupation to be on the MLTSSL After March 2018? No, any such changes are not applicable to those applying for the, 186 visas as per the Temporary Residence Transition(TRT) stream. As per the TRT stream, only those candidates can apply for the 186 visa, who had the 457 visa on the 18th April 2017 and have this visa at the time of filing the 186 visa application. It’s true that, after March 2018, the occupations which will be available for the grant of the 186 visa will be reduced. There will be just 218 profiles, a part of the MLTSSL list, which will be applicable for this visa(Direct entry stream). However, only those candidates who are applying for the 186 visa as per the Direct Entry stream, will be affected by such changes. So, apply for this visa depending on which one of these profiles is applicable as per your experience. What is the Direct Entry stream for the 186 visa? Get permanent residency without worrying too much because an employer is backing you for PR. 186 visa is a straightforward visa because no point score of 60 is needed, neither state sponsorship because an employer is going to get you to Australia. This visa is an extremely important opportunity for IT employees because all kinds of IT profiles and many other profiles are eligible for the 186 PR visa. The profiles of, the ICT Business Analyst and ICT Security Specialist allow PR as per this visa. The candidate should prove that he has fluent levels of English. For this purpose, he should have scored, 6.0 in every single one of bands in IELTS. Without having this condition apply to you, you can’t have the 186 PR visa. Make sure, that you have the valid test scores, generated only 3 years ago. However, the candidate should not be old and his age should be just low than 45 years. Nile Migration can make sure that you have complied with all the requirements, which are required for you to be given this visa. One of these requirements is the valid skill assessment. The skill assessment is needed, even when you have an employer offering you sponsorship for PR. No employer can offer you a salary which is not compatible with the market standards. The operations of your employer must be legal to make him eligible for granting you with immigration. Although applying for the 186 visa appears easy, it requires a lot of complicated knowledge. So, sometimes having to acquire this kind of knowledge can make you go nuts. Because without the right kind of knowledge, all your money expended in the visa application does not serve any purpose. You are left without any visa because you could not meet some of the eligibility conditions. For example, there are exemptions in terms of age which are provided to those, who have been invited by a famous university in Australia providing them with sponsorship, due to a vacant Senior Academic position. This kind of age exemption is also provided to those who have the job offered to them in the capacity of a Scientist in the government scientific agency in Australia for this visa. At Nile Migration, all this knowledge and much more can be provided and we let you know of your likeliness for this visa. We know your mind is bombarded with questions as to how to get this visa which can only be solved by our veteran immigration counselors. We know your capacities and hence judge your profile according to the implemented immigration rules. How can I apply for the PR in Australia being an IT professional? Australian PR 186 visa, Australia PR. permalink. 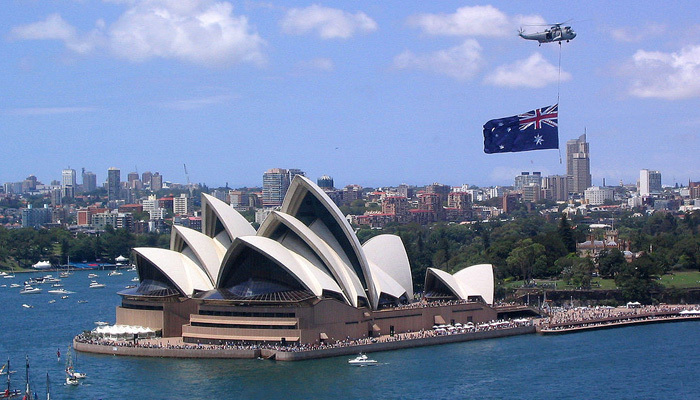 Change in Australia’s Immigration Rules- It’s still the Top Destination for Immigrants/Why is Australia the Best Destination for Immigration Despite Modification in Australia’s Rules for Immigration?